Greek life has been a part of American History since the 18th century. The end of the Civil War marked a shift in the definition of brotherhood and sisterhood for the youth of America. The need for unity and understanding between brothers and sisters had reached its pinnacle and thus, fraternities came to be. One of these fraternities is Pi Kappa Alpha. 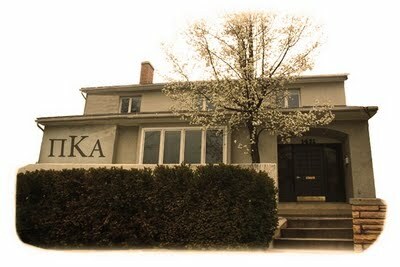 The official website of Pike Kappa Alpha states: Pi Kappa Alpha was founded on Sunday evening March 1, 1868, at 47 West Range at the University of Virginia. Frederick Southgate Taylor, William Alexander, Julian Edward Wood, James Benjamin Sclater, Jr., Robertson Howard, and Littleton Waller Tazewell Bradford created a secret social Greek letter society. Pike was founded with the colors garnet and old gold, along with the Greek letter Pi, Kappa, and Alpha. Other symbols of Pike include a white horse and an oak tree. Pike has more than 220 chapters and 17 colonies throughout the United States and Canada. The fraternity’s headquarters are located in Memphis, Tennessee. Once every two years the fraternity holds a national convention similar to a political party convention where delegates and executives are elected, and fraternity business is conducted. The most recent convention was held in Austin, Texas, July 28-August 1, 2010. 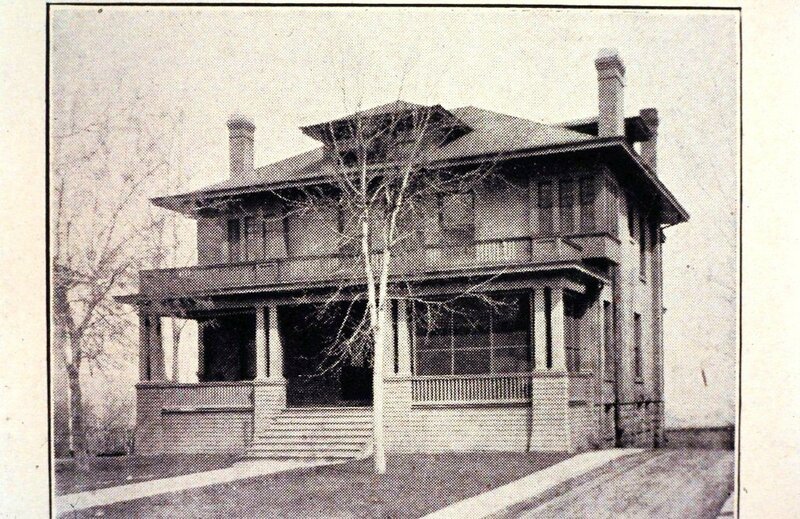 First Pi Kappa Alpha House, 51 N. Wolcott St. This was the chapter’s first house. The house remained occupied by members until 1959. Courtesy of the Alpha Tau Chapter. Greek Life first arrived at the University of Utah in 1908 with the founding of the Beta Epsilon Chapter of Sigma Chi. Hart stated that in 1912 some members of the Beta Epsilon chapter helped found the Alpha Tau Chapter of the Pi Kappa Alpha Fraternity. Both chapters are the oldest existing fraternities at the University of Utah. According to the Autumn 2011 Shield & Diamond, Alpha Tau Chapter ranks third nationally in initiations with more than 2,700. Since its chartering, the Alpha Tau Chapter has gone through four homes. 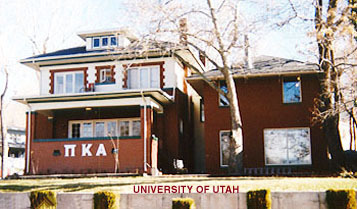 According to Garnet & Gold: The Official Handbook of The Pi Kappa Alpha Fraternity, the first, and longest tenured home, was on 51 N. Wolcott St. near the University of Utah campus. 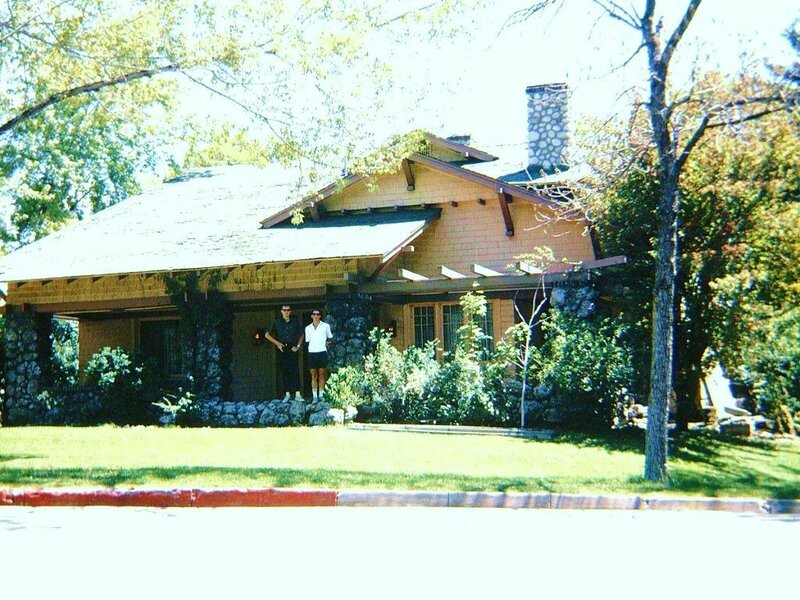 That house saw the first 1,000 brothers initiated into the Alpha Tau Chapter and was occupied by the chapter until 1959. Second Wolcott House (1959-1974). This house was the home of Alpha Tau until a fire destroyed everything in 1974. Courtesy of the Alpha Tau Chapter. The second house was also on Wolcott Street near campus. Unfortunately, the second house burned down due to an electrical fire in 1974. The fire was started by the use of too many electrical cords in a room on the second floor of the house. Everything in the house burned up except for a few secret fraternity relics. The chapter did not have a chapter house again until 1979 when the third house was purchased. Greekbook; University of Utah Fraternity/Sorority recounts that between the fire and 1979, Alpha Tau held its meetings in the student union on campus. This house was the largest, and first three-story house the chapter occupied. The house was located on 41 University St. and was the first off of the main Greek row. This house saw over 1,700 initiates, and two full renovations. This house also received a full 2,000-square-foot two-story extension in 1983. The 41 University house (as it was called) was sold in 2009 to the Kappa Sigma Fraternity. The Alpha Tau chapter then moved back to the main Greek row for the first time since 1974. The current house is the largest at more than 6,000 square feet and four stories. The house is located on 1431 East 100 South across from the Physics building on north campus. The house is situated next to the Chi Omega sorority house and directly south of the Alpha Phi sorority house. The house became fully active in the fall of 2009 and has seen more than 100 initiates since the relocation in May of 2009. 41 University Street (1977-2009). The second-longest-tenured house saw more initiates than the first two houses combined, and was home to Alpha Tau for more than 35 years. Courtesy of the Alpha Tau Chapter. The Alpha Tau Alumni Association website states: That spring, the chapter pledged an Asian-American man named Dennis Mitzamota Miya. The International Fraternity immediately revoked the charter of the Alpha Tau Chapter. The chapter lobbied against the fraternity, but was silenced for more than a year. While on suspension, the chapter operated normally as if it had a charter. It was not until the International Convention of 1968 that the Fraternity recognized Alpha Tau again. After more than a year of lobbying, the Alpha Tau chapter officially overturned the unwritten “white clause” at the International Convention of 1968. Philanthropy is a huge part of Greek life in the United States. Every Greek letter organization has at least one charity it dedicates itself to supporting. Alpha Tau is no different. The chapter has been a partner of the Salt Lake City community, fulfilling philanthropic endeavors since its inception in 1912. The house currently is partners with two local and national charities. The local charity is Camp Hobe. Camp Hobe is a camp for children with terminal cancer located at Camp Wapiti in Settlement Canyon near Tooele, Utah. Christina Beckwith, director of the camp, says Alpha Tau’s partnership began with Camp Hobe in 1990, and has been strong ever since. Brothers of the house raise more than $15,000 annually for the camp, which equates to more than 20 percent of its budget. The main event to raise money for the camp is called the Kevin B. Kennedy Gameball Run. In the spring of 1994, the Alpha Tau chapter lost one of its members to brain cancer. Kevin B. Kennedy lived on through his brother, Cory, who created the idea of the Gameball run. 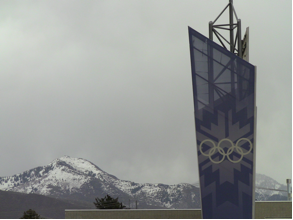 The run is the day before the annual Utah-BYU football game. The fraternity begins the run at the stadium where the game was held the year before, and finishes at the site where the game will be played. The length of the run is 71 miles. The run accounts for more than 50 percent of the chapter’s total donation to Camp Hobe annually. 100 South House (2009- Present). The current residence of Pi Kappa Alpha-Alpha Tau. The chapter celebrated its 100th anniversary on April 20, 2012. Courtesy of the Alpha Tau Chapter. The second and official charity of the International Fraternity is Big Brothers, Big Sisters. Currently, Pi Kappa Alpha has more than 1,000 members nationally who participate as Big Brothers. The Alpha Tau Chapter currently has five members who participate. Annually, the more than 1,000 members who participate donate more than 100,000 hours toward Big Brothers, Big Sisters. David Harris graduated in May 2012. “Our Founding,” The Pi Kappa Alpha Fraternity. University of Utah Interfraternity Council, Fraternity Life; a Magazine of Fraternity Life at the University of Utah (1946). Freeman H. Hart, The History of Pi Kappa Alpha, 10th ed. (Little Rock, Ark. : Democrat Printing & Litho, 1953). Mark Herszchel, “Pike All-Time Initiate Numbers.” Shield & Diamond (Autumn 2011): 37-39. Garnet & Gold: The Official Handbook of The Pi Kappa Alpha Fraternity (Memphis: Pi Kappa Alpha International Fraternity, 1970). University of Utah Student Periodicals, “Times of Your Life,” Greekbook; University of Utah Fraternity/Sorority (1979). “Alpha Tau History with Jim Cannon,” personal interview, March 15, 2012. Tom Dowell, “Maverick Chapter With a Halo: A brief history of the Alpa Tau chapter,” Alpha Tau Alumni Association. Christina Beckwith, “Alpha Tau Impact on Camp Hobé,” telephone interview, March 15, 2012. Pi Kappa Alpha, “Alpha Tau Celebrates Centennial,” The Shield & Diamond (Spring 2012): 48-50. The journey to the Salt Lake Valley was extensive for Mormon pioneers. Mormons were looked down upon in the East so Joseph Smith, the first Prophet of the Church of Jesus Christ of Latter-day Saints, made plans and encouraged the members of the Church to travel to the West. 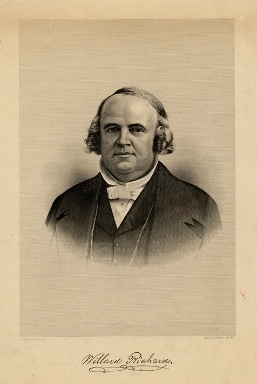 Willard Richards, who was Brigham Young’s cousin, became a convert to the Church in 1836. Richards held many roles throughout his life. At points in time he served as secretary of the government of the State of Deseret, presided over the council of the Legislative assembly, worked as postmaster of the Great Salt Lake City, was involved with the Emigrating Fund Company, served as recorder and general historian of the Church, and was the founder of the Deseret News. (Richards) He also was an influential herbal medicine doctor and held high authority positions in the Church. Willard Richards. Photo courtesy of the Special Collections Department, J. Willard Marriott Library, The University of Utah. Willard served a mission in England from 1837-1841, and was ordained an Apostle by Brigham Young in 1840. (Quinn) Later, he left Nauvoo and traveled to Winter Quarters, Nebraska, and eventually traveled to the Salt Lake Valley with Brigham Young. (Quinn) Once he arrived to the Salt Lake Valley, he became very involved. After Joseph Smith’s death, Brigham Young became president of the Church, and Richards was then ordained by Brigham Young as 2nd counselor. In a letter written by Richards to his sister, he expressed his feelings toward the religion saying, “I must tell you sister what it is to be a ‘Later [sic] Day Saint’ a ‘Mormon’ vulgarly. It is to believe & practice every known or revealed truth, in relation to every being & thing.” (Richards) He was a very dedicated member in his church, and continued to dedicate himself to several other commitments throughout his life, including being editor of the Deseret News, a Church-owned publication. Conclusion: In a journal entry written about a sketch of Willard Richards, it states, “It would be difficult to name any one of the original band of Utah pioneers who filled a more active life than the subject of this sketch. The duties he performed and the offices he held from the time he embraced Mormonism until the date of his death, were so numerous that it is a matter of wonderment how one man could have sustained them all.” Willard Richards fulfilled many roles in his life as a religious leader, and within his community. In an oration given by Richards, he said, “Men cannot fight truth, life or salvation without a medium of communication.” (Richards) He influenced news writing, medicine, and the Mormon religion. Emily Sylvester is a senior at The University of Utah. She is majoring in mass communication. Willard Richards and Thomas Bullock, History, 1838-1856, The Joseph Smith Papers. Willard Richards, Deseret News, accessible at Utah Digital Newspapers. Willard Richards, Matthew Frederick and Claire Wilcox Noall, Box 8, Folder 13, 1805-1979. Manuscripts Division, Special Collections, J. Willard Marriott Library, The University of Utah. Willard Richards, Matthew Frederick and Claire Wilcox Noall, Box 9, Folder 10, 1805-1979. Manuscripts Division, Special Collections, J. Willard Marriott Library, The University of Utah. Willard Richards, “Oration,” Millenial Star, November 15, 1850. “Willard Richards Called First And Only Apostle Ever Ordained In England,” Deseret News, August 9, 1958, 20. Robert T. Divett, “Medicine and the Mormons,” Bulletin of the Medical Library Association 51, no. 1 (January 1963): 1-15. H. Dean Garrett, “History of Willard Richards,” OnlineUtah.com. Stan Layton, “The Mormon Trail: A Photographic Exhibit,” Utah History to Go, State of Utah. “Markers and Monuments Database: Willard Richards,” Utah State History, State of Utah. “Markers and Monuments Database: This is the Place Monument,” Utah State History, State of Utah. Monte McLaws, Spokesman for the Kingdom: Early Mormon Journalism and the Deseret News (Provo: Brigham Young University of Missouri, 1977). Claire Noall, Intimate Disciple, A Portrait of Willard Richards (Salt Lake City: The University of Utah, 1957). D. Michael Quinn, “They Served: The Richards Legacy in the Church,” Ensign (January 1980). Howard C. Searle, “Willard Richards as a Historian,” BYU Studies 31, no. 2 (1991): 41-62. Apostle, revered statesman, federal prisoner, missionary, newspaper editor: George Q. Cannon was a man with a mission. And although Cannon was never president of the Church of Jesus Christ of Latter-day Saints, it is said that aside from Joseph Smith and Brigham Young, no one surpassed him as a “leader, shaper and defender of nineteenth-century Mormonism.” (Bitton, ix) From a humble beginning, the path to achieve even minimal amounts of success, let alone greatness in life, looked bleak. Having been presented with poverty-stricken conditions as a child, dropping out of school at the age of 13, and being orphaned at a young age, Cannon had a fire within him to turn the tables. (Evans, 85) Taking into account the less-than-favorable situation in which Cannon grew up, he would defy logic, while establishing a name for himself and helping Utah achieve the greatness that it now enjoys. Cannon would not sit idly. George Q. Cannon was born in Liverpool, England, on January 11, 1827. Without a great deal of promise in his homeland, Cannon was fortunate to have been born with an intrepid spirit. From a very young age, George demonstrated a great deal of tenacity. At the age of 13, against the wishes of his parents, he left school to work in the shipyard, insisting that, “learning was not a matter of going to school; it was the result of an inner hunger.” (Evans, 86) This stubborn but compelling pride stuck with him throughout his life, choosing twice to be sentenced to prison, rather than compromise his convictions. 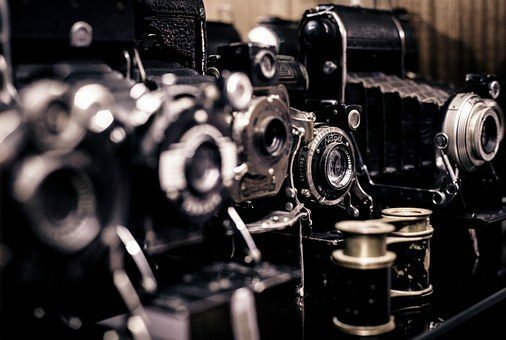 At age 16, under the tutelage of his uncle, John Taylor, Cannon began to develop a voice and understanding of the media, spending much of his time focused on disabusing public thought relative to the Mormon faith. (Bitton, 44) It was in these critical teenage years that Cannon would hone his skills as a public and powerful defendant in the fight for Mormonism. Bitter hatred stirred and came to a head on June 27, 1844, when Joseph and Hyrum Smith were murdered in cold blood. Also present and subsequently wounded was Cannon’s uncle. In 1845, due to the now widespread, increasing hostility amongst Mormon enemies, early Latter-day Saints succumbed to the demands to leave Nauvoo and headed for the Rocky Mountains. The Latter-day Saints arrived in the Salt Lake Valley in 1847. Two years later, Cannon was asked by Brigham Young to serve a “gold mission” in California to help with the dire straights in which the people were positioned. Cannon, many years later, would say, “there was no place that I would not rather have gone to at this point than California. I heartily despised the work of digging gold. I thought it very poor business for men to be running over the country for gold.” (Bitton, 61) Nevertheless, he went, as he always met his callings with a degree of humility and willingness. Several months passed. Government intensity eased, so Cannon headed back to Salt Lake, only to be met 60 miles outside of the city by a messenger from Brigham Young, informing him that he should head up the Eastern States Mission. (Grant Cannon, 344) And just like that, he was off again. On April 8, 1873, he was called to the church’s First Presidency. He was eventually driven underground as a fugitive, along with other church officials involved in the practice of polygamy. In 1888, he turned himself in and was sentenced to 175 days in the state penitentiary. Some might say Cannon was a man with a mission, but in fact, he was a man with many missions. One can’t speak about Utah’s early beginnings without mentioning Cannon. 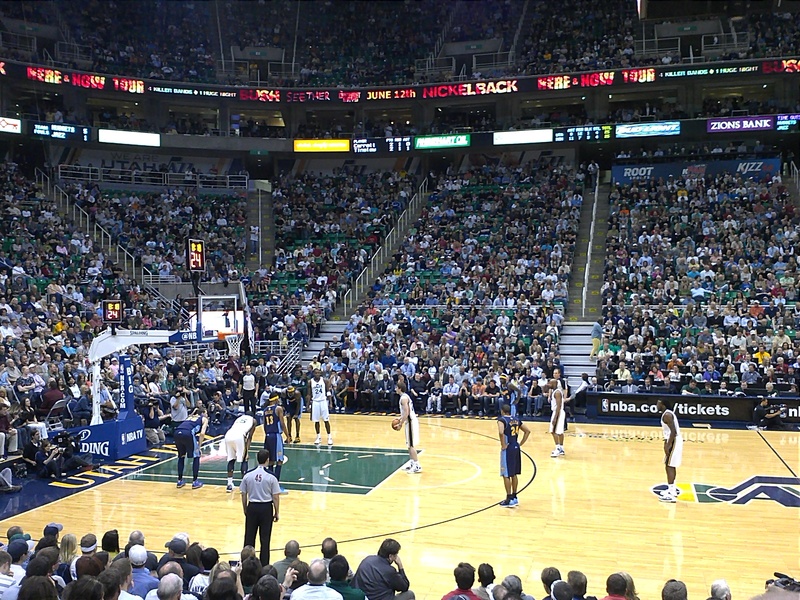 He is synonymous with Utah. Apostle, revered statesman, federal prisoner, missionary, and newspaper editor: George Q. Cannon’s life was a life well lived. George Q. Cannon, San Francisco, California, Western Standard. Arthur I. Street, “The Mormon Richelieu,” Ainslee’s Magazine, January 1900, 699-706. Davis Bitton, George Q. Cannon: A Biography (Salt Lake City, UT: Deseret Book Co., 1999). “George Q. Cannon,” David J. Buerger papers, Special Collections, J. Willard Marriott Library, The University of Utah. Grant Cannon, Prophet, Pioneer, Politician, Prisoner. 1957. MS. University of Utah. Charles Dickens, The Uncommercial Traveler ; No Thoroughfare. New York: P.F. Collier, [18-. Print. Beatrice Cannon Evans and Janath Russell Cannon, Cannon Family Historical Treasury, 2d ed. (Salt Lake City, UT: George Cannon Family Association, 1995).